New Session! 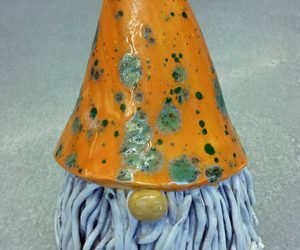 With their tall pointed hats and long beards, a garden gnome is the perfect adorable guard for your flower beds! Have fun decorating yours to suit his mood. On the first day of class, you will design and build your gnome. Then come back on day two to glaze your work. All supplies and firings included. Minimum 4 students. WINTER SPRING SESSION Saturday, May 11 from 10:30am-noon. Students will return on Saturday, June 1 from 1-2:30pm to glaze. $40 (member), $55 (non-member).